SideTrakd - Picture Picture x Contact! 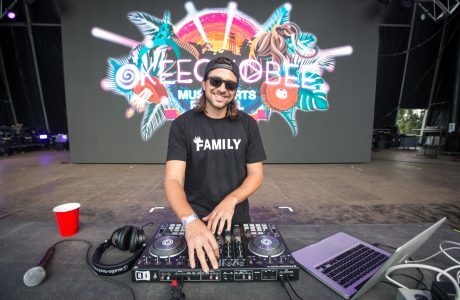 A resident from Gainesville’s most popular weekly deep house events, including Too Deep Tuesdays at Gallery Ultra Lounge, SIDE TRAKD has quickly become a hot name in the EDM scene in the southeast. 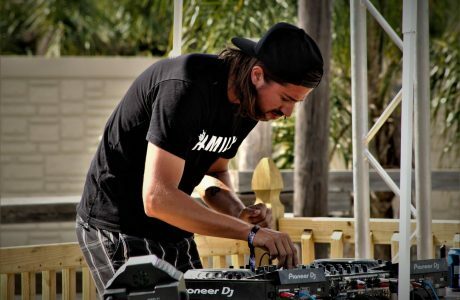 In his short time on the scene, he’s gone from clubs to playing at major festivals in the area, including a performance at Okeechobee Music and Arts Festival he acquired by winning a nationwide, Battle of the Bands-style competition, and an opening spot at the inaugural Brainquility Music and Arts Festival. In the past few months he’s even evolved his sound to include a wider array of musical styles, including what he calls “Anything with soul”, which turns out to be a horn blasting, bass slapping brand of funky, electronic jams. He also brings what every DJ needs to bring to the stage nowadays: his own tracks. No stranger to the dizzying array of musical toys available to serious electronic musicians, SIDE TRAKD’s sets include songs of his own creation alongside those of other prominent artists. More important is his ability to turn all of this sound into a serious live show. This is what’s expected from EDM performers in the current aural environment, and in this regard, SIDE TRAKD never fails to deliver. He got his start crushing today’s deep house sound together with his own productions and, sometimes giving a sly nod to the genre’s past via samples, creates a raging live environment that’s only experienced if you’re there, in the room. The ephemeral, one time nature of each track, knowing that something is being heard that’ll never be felt again, is the power of the deep house bangers and funk-style influences that SIDE TRAKD brings to every set he plays.